No matter what time of the year it is, road trips are a part of the North American pastime. Whether you are visiting family in another state, going on a scenic adventure, or heading to a special destination for a weekend getaway, it’s important that you stay informed about road trip safety. Prior to your journey, first check to ensure that all key functions of your vehicle are working properly. Bad turn signals, faulty lights, weak brakes, and dying batteries are common culprits that interrupt road trips. There are plenty of factors that must be calculated to decide which vehicle would be best to get you around the streets. Performance, capability and vehicle type are all things that should be considered. When it comes down to the final decision, there are a few things that make choosing an SUV a better option than other types of vehicles. As you begin the process of applying touch up paint to your car, you need to ensure that the area doesn't have any rust and that it's clean. You're going to apply a primer to the vehicle before adding the basecoat. The basecoat will be the color that you purchased from South Trail Kia or at an automotive store that will match your vehicle. Android Auto is a term we hear a lot today, especially in the automotive industry, and we want you to become familiar with how this unique technology works. Android Auto is an in-vehicle technology that lets you connect your Android phone, table to electronic device to your vehicle and enjoy technology safely while driving. Whether it’s making phone calls, getting texts, reading ebooks, listening to music, looking up gas prices, finding parking spaces, retrieving voicemails or navigating maps, Android Auto allows you to do it all. A timing belt is a device placed on the engine of a vehicle when the car is being constructed in the factory. The timing belt helps the crankshaft and camshaft maneuver back and forth. Whenever a person brakes or drives forward, the timing belt is working. When there is no timing belt on the engine, the car will not start or move anywhere. When the key is put in the ignition and is turned to make the car run, the timing belt is responsible for making the engine startup. 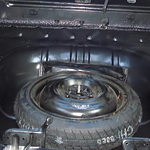 Today, autos can have a full size or compact spare tire. The difference is that full-size spares ride like standard tires, and drivers can operate their vehicles as usual. Compact tires have limits. Drivers must reduce speeds and use care when steering and turning. Calgary-area drivers know that compact spares do not drive or feel like regular tires. The manufacturer intends compact spares to be a temporary tire that can help the vehicle reach home or a repair facility. The automakers do not intend the "donut" tire as a long-term tire replacement. Safety is the top priority for anyone looking to purchase a new car. And our team here at South Trail Kia recognizes that family doesn't stop with just your children. Pets are part of the family too! 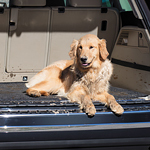 That is why we thought it would be fitting to provide you with a few tips on how to travel with pets. Taking important safety measures to prevent hydroplaning helps keep you and others safer on the road. 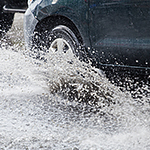 Hydroplaning occurs when your vehicle can't push the incoming water from rain away fast enough. It can happen without warning and take away your ability to brake or steer, making it extremely dangerous not only to you but others on the road. Two crucial tips to follow for reducing your risk of hydroplaning are regularly rotating your tires and using high quality tires. The back to school season is busy; it's filled with tasks, activities, school obligations, work, and errands. The busy times put demands on the family vehicles. When an older child drives off to college, then he or she may have to take on car maintenance for the first time. Basic maintenance is essential to keeping a vehicle in good operating condition.